Adam let's us know about the inspiration for his amazing zonk idea! "First off, I love the show. 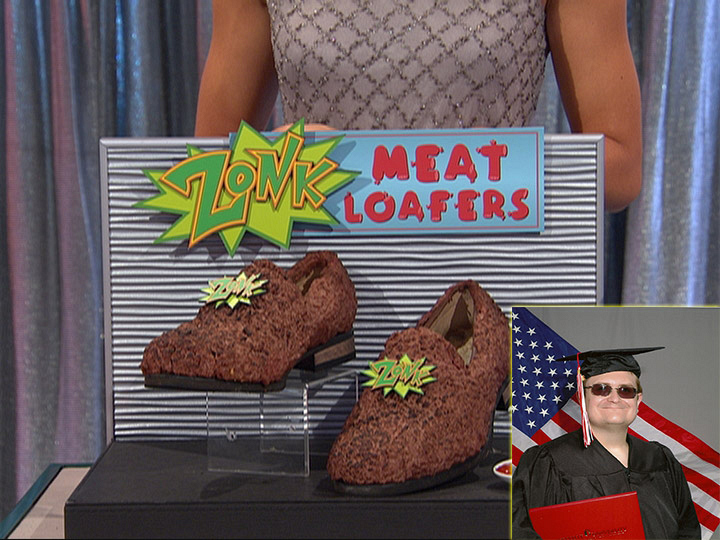 The Meat Loafers idea came when I saw food made into footwear as zonks. I thought meatloaf would be obvious to use as a zonk, hence the zonk name, Meat Loafers. Anyway, thank you so much for using my zonk!"